To clean pusit, pull out the head and the innards will come out with it. Discard entrails. Remove the teeth and keep aside head and tentacles. Remove the membrane from the body. Wash out remaining entrails under running water and drain. 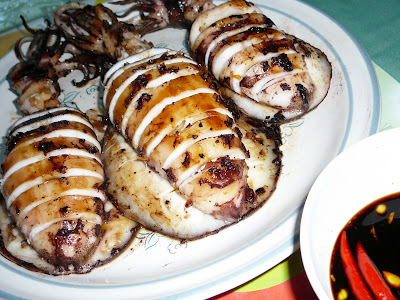 Marinate pusit in a mixture of 1/4 c. soy sauce, 1/4 c. sprite or 7up, 3 pcs. kalamansi and some cracked peppercorns for 30 minutes to 1 hour. In the meantime prepare stuffing, in a bowl toss onion, ginger, tomato and season with salt and pepper. Drain marinate from pusit and stuff each pusit with the chopped vegetables mixture. 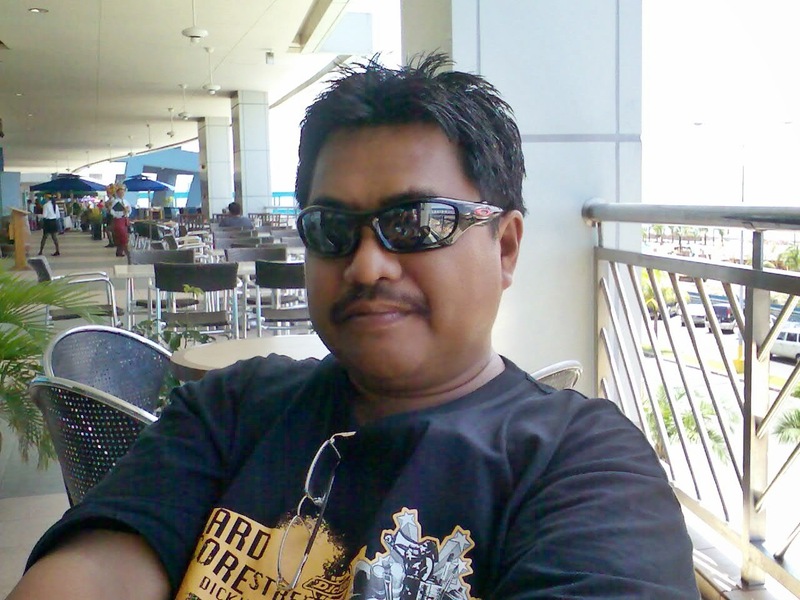 Replace pusit head and secure with a toothpick. Grill pusit about 6 inches above charcoal for 4 to 5 minutes on each side. When done slice each pusit crosswise, Serve with dipping sauce; mixture of 1/4 c soy sauce, 3 pcs. kalamansi, crushed garlic and siling labuyo.